Alfred Lincoln Babbitt was born on 11 November 1862 at Barre, Worcester Co., MA. He was the son of Harrison Willard Babbitt and Marilla Theresa Converse. Milton Peck Babbitt was born on 2 January 1867 at Barre, Worcester Co., MA. He was the son of Harrison Willard Babbitt and Marilla Theresa Converse. Joel Converse Jr.'s farm, where he lived and died, was purchased from his father, and consisted of a hundred acres one mile west of his father's farm. One large pine tree, four feet in diameter, was, however, reserved by his father to give to the eldest son, Lyman, for shingles, and is is said that some of those shingles are doing service now (1900). One of his early memories was that of his father starting Lyman and himself with oxen and steers to church, in winter, four long miles, for an all-day service. The Bixbys and the Dimicks added two or more yokes, and the sled was filled with boys and girls from the numerous families. Joel Jr. was enumerated in the 1810 Lime, Grafton Co., NH, federal census. Joel and Abigail were enumerated in the 1850 Lyme, Grafton Co., NH, federal census. He was a farmer, age 63, she was 59. Children in the household were Francis 35, and Wm. A. C. 20. Mr. Joel and Mrs. Abigail converse, of Lyme, celebrated the fiftieth anniversary of their marriage on Monday, 11th inst., being the same day of the week as the original wedding day. The day dawned serene and beautiful. the first morning of Creation could hardly have been fairer or more lovely. About noon the invited guests began to assemble, paying their first compliments to the pantry with their well filled baskets. At one o'clock p.m. the exercises of the occasion commenced with reading the 108d Psalm, by the Rev. 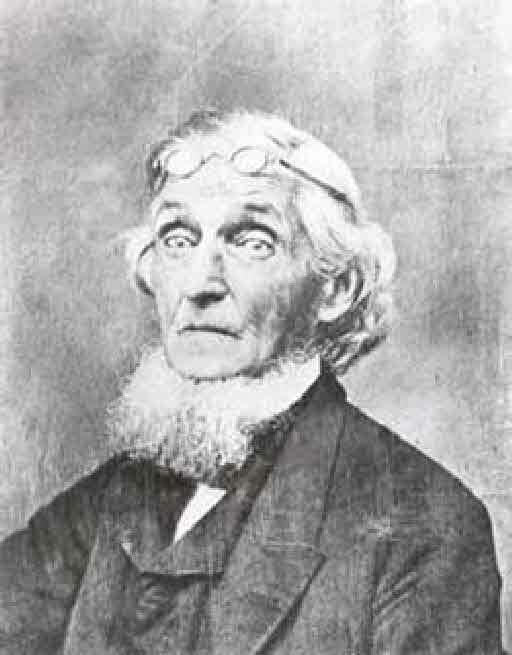 Erdix Tenny, their pastor for thirty years. Rev. E. H. Smith, also of Lyme, offered prayer, in which thanks were rendered for the mercies which had crowned the lives of the aged pair and their numerous family; also that a kind Providence permitted them to rejoice in their quiet home, far away from the noise of battle and the tumult of war. He earnestly implored the Divine favor to rest upon them yet longer, even through their earthly pilgrimage to the peaceful shore of the heavenly land. Next came the singing of Lenox and other tunes of the olden time, which carried many of the audience back their youthful days and their unfading memories. Then followed happy and appropriate remarks by the Rev. Messrs. Smith and Tenny. Other contributions were also read. Then came the singing of the following Hymn, in tune Coronation, written for the occasion by Mrs. Sigourney, of Hartford, Conn.
Where sands of lite run low? That with warm radiance glow. Our chains anew are bound. Or cares our pathway shroud. Trust in his arm of might. Of saints and angels glow. As soon on earth we part. Mid gloom of sorrow's night. Who knoweth of such things as these? Where all things fleet away. Still led by heavenly dew. Up to the white-robed throng. At this point of the proceedings the bride arose, and invited the two ministers and their wives, with as many others as could find standing-place, to follow her to the adjoining room. In one corner stood a loft bed, made in the olden style, on which was spread a new and beautiful patch-work quilt, the skillful work of her own trembling hands. This she presented to her pastor's wife. To her pastor, she presented a book entitled "Past Meridian," when, turning to the company, she said, "I trust, friends, you will be very lenient to our pastor, for, if he finds the book as interesting as I have, he will find no period until he turns the last leaf; therefore, I hope you will excuse him, though he should find it convenient to exchange." A sealed package was presented to Mrs. Smith. All of the gifts were welcomed, and suitable thanks returned. The aged couple received several books, among which was "The Churches of New Hampshire," given by their pastor; "Past Meridian," by its author, whose contributions had given so much pleasure to all present, and "Noble's Appeal," sent by two little grand-daughters, who, with their parents, where not present on the occasion. While the tables were being laid in the spacious old kitchen, the time was passed in pleasant conversation. A gentleman present, a son of the minister who half a century since united the happy couple, was playfully asked to tie the knot over. "No," replied he, "If my father could not tie a knot that will hold more than fifty years, it ill becomes me to try my hand at it." Only three of the five children, now living, and four of the fifteen grand-children, were present. The bride was neatly dressed, wearing but a single ornament; a beautiful little pin, sent by an aged sister, two hundred miles, as a bridal present. There are only two persons now living who witnessed the first marriage ceremony. At five o'clock the whole party gathered around the festive board, which was arranged in a tasteful manner. Near the center stood, side by side, two mammoth loaves of cake, nicely frosted. One was a genuine wedding cake, made by the trembling hands of the aged matron, and, strange to tell, the first wedding cake ever made by her. The other was the gift of two generous sisters, school-mates of the bride when a child. Near each end of the table stood two pyramids, snowy white, sent by two young friends who were most gratefully remembered. Other loaves of cake, less conspicuous but not less palatable, occupied their respective places. Snowy bread, golden butter, maple honey, with fragrant tea, made up the complement of refreshments. The old clock, which had ticked in its cozy corner so many years, never looked down from its lofty heights on a happier group, or a more bountiful repast. As the company left the table the matron repeated this most apt verse, "We shall eat in plenty, and be satisfied, and praise the name of the Lord your God." The exercises were closed by singing. The guests, both old and young, united in pronouncing this to be one of the happiest days ever experienced, and took their leave with a hearty "God bless you," to the newly married pair. [S24] Charles Allen Converse, Some of the Ancestors and Descendants of Samuel Converse, Jr., of Thompson Parish, Kiliingly, Conn., Page 128, Item 69. [S807] Find A Grave, online http://www.findagrave.com, memorial #121886379. Children of Abigail Colt and Joel Converse Jr.
Francis Wilson Converse was born on 17 January 1815 at Lyme, Grafton Co., NH. She was the daughter of Joel Converse Jr. and Abigail Colt. Francis Wilson Converse died on 26 September 1880 at Lyme, Grafton Co., NH, at age 65. Dr. Julius Miner Converse was born on 3 January 1816 at Lyme, Grafton Co., NH. He was the son of Joel Converse Jr. and Abigail Colt. Dr. Julius Miner Converse died on 16 May 1841 at Philadelphia, PA, at age 25. 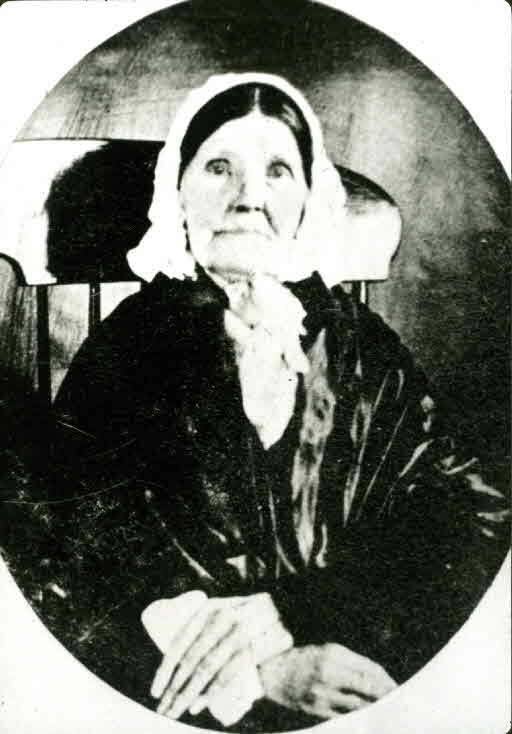 Abigail Matson Converse was born on 6 May 1817 at Lyme, Grafton Co., NH. She was the daughter of Joel Converse Jr. and Abigail Colt. Abigail Matson Converse died on 4 December 1851 at Richmond, VA, at age 34. William Converse was born on 10 November 1818 at Lyme, Grafton Co., NH. He was the son of Joel Converse Jr. and Abigail Colt. William Converse died on 27 March 1819 at Lyme, Grafton Co., NH. Laura Adelia Converse was born on 13 February 1820 at Lyme, Grafton Co., NH. She was the daughter of Joel Converse Jr. and Abigail Colt. Laura Adelia Converse died on 15 October 1848 at Lyme, Grafton Co., NH, at age 28. Lydia Converse was born on 7 July 1821 at Lyme, Grafton Co., NH. She was the daughter of Joel Converse Jr. and Abigail Colt. Lydia Converse died on 23 June 1885 at Franklin, MA, at age 63. Samuel Bixby Converse was born on 7 May 1823 at Lyme, Grafton Co., NH. He was the son of Joel Converse Jr. and Abigail Colt. Samuel Bixby Converse died on 12 January 1844 at Orford, New Hampshire, at age 20. Harriet Newel Converse was born on 11 December 1824 at Lyme, Grafton Co., NH. She was the daughter of Joel Converse Jr. and Abigail Colt. Harriet Newel Converse died on 16 March 1854 at Lyme, Grafton Co., NH, at age 29. Caroline Wilson Converse was born on 8 July 1828 at Lyme, Grafton Co., NH. She was the daughter of Joel Converse Jr. and Abigail Colt. A news story of the 25th wedding anniversary of H.W. Babbitt and M. T. Converse mentioned that the Rev. W. A. C. Converse spoke at the party. [S807] Find A Grave, online http://www.findagrave.com, Find A Grave, database and images (https://www.findagrave.com : accessed 07 April 2018), memorial page for Rev W. A. C. Converse (1830–1912), Find A Grave Memorial no. 155960435, citing North Hill Cemetery, Stewartstown, Coos County, New Hampshire, USA ; Maintained by Shirley Mitchell (contributor 47472285) . Mary Converse died on 4 March 1835 at Lyme, Grafton Co., NH. She was born on 4 March 1835 at Lyme, Grafton Co., NH. She was the daughter of Joel Converse Jr. and Abigail Colt. Dr. Coult was a Revolutionary War Patriot; enlisted 1777 and 1778, served as surgeon's mate. His diary now in the possession of the family gives his service. He says, 1779, "received orders from Governor Trumbull to raise a small guard and take command of post at the mouth of Connecticut river. I resigned my commission to my brother John, and returned to my study." Amherst was enumerated in the 1790 Lyme, Grafton Co., NH, federal census. Amherst was enumerated in the 1800 Lyme, Grafton Co., NH, federal census. There appears to be 3 sons and 5 daughters in the household. Amherst was enumerated in the 1810 Lyme Grafton Co., NH, federal census. Males:0, 1, 2, 0, 1; females: 0, 3, 1, 0, 1. [S104] DAR DAR Lineage book, Vol. CX:Pg. 313/Item 109085. [S140] LLD Elias Loomis Loomis Female Branches, Vol. I:Pg. 151/Item 42. [S849] Harriette Asenath Case Welden, "NSDAR: 27455, Harriette Asenath Case Welden." [S850] Nina D. Case, "NSDAR: 140908, Nina D. Case." [S851] Eva Elizabeth Case Hamm, "NSDAR: 127293, Eva Elizabeth Case Hamm." [S254] Kenneth Lord, Thomas Lord, Page 125. Deacon Thomas Giddings was born on 21 January 1723 at Lyme (probably), CT. He was the son of Thomas Giddings and Sarah Andrews. Deacon Thomas Giddings married Mary Colt, daughter of Deacon Benjamin Colt and Miriam Harris, on 1 May 1746 at Lyme, New London Co., CT; by Rev. George Beckwith.1 Deacon Thomas Giddings died on 24 May 1790 at Hartland, CT, at age 67. From "The Giddings Family (1882)" by Minot S. Giddings of CT Thomas Giddings removed from Lyme to what became the town of Hartland, Conn., June 12, 1754, being the first residing inhabitant in the town. Two years later, viz., 1756, his brother Joshua came from Lyme and settled there. On the second Thursday in May, 1761, there being thirty-seven families, containing 212 persons, and seven families more expected, "the General Assembly made and created it an entire town, by the name of Hartland. "* July 14, the same year, the first town-meeting was held, Joshua Giddings being moderator and one of the Selectmen. Thomas Giddings was also chosen Selectman and Treasurer of the town. Sep. 15, 1761, at a meeting lawfully warned, Joshua Giddings being moderator, it was voted that the Gospel should be preached in the town for three months. In 1762 Thomas Giddings was chosen a committee to wait on the committee appointed by the "Hon. County Court to fix a place for Divine worship." Joshua Giddings was chosen a committee to "take care of the parsonage." In the same year Thomas Giddings was Selectman and Joshua was one of the Listors. In 1764, at a meeting of the inhabitants, Thomas Giddings moderator, it was voted that they should build a meeting-house on the east mountain; said house should be 45 ft. in lenght, 34 ft. in breadth, and the posts 20 ft. long. Thomas Giddings was appointed one of the committee to build the same. On the 3rd of October, 1764, at a town-meeting, thomas Giddings moderator, it was voted "to give Mr. Ashbel Pitkin the offer to settle with us in the ministry." At a town-meeting held Feb. 18, 1768, Thomas giddings moderator, it was voted to appoint a committee "to treat with Mr. Graves to get him to come and preach with us." Thomas and Joshua Giddings were of the committee. In 1783 "Capt. Thomas Giddings" was chosen a committee to present a memorial of the inhabitants for an abatement of taxes to the General Assembly. In 1783 Capt. Thomas Giddings was chosen a Represeentative to the General Assembly. He was received into the curch in East Hartland by letter from the Third Church in Lyme, Aug. 4, 1769, and chosen a deacon Feb. 14, 1770. It is found that Capt. and Dea. Thomas, and Joshua Giddings were chosen to town offices nearly every year from their settlement in Hartland till 1790, and one or the other was usually chosen moderator of the public meetings. They followed agricultural pursuits. *Much of this was obtained from the Town Records. [S469] Elizebeth B. Plimpton, Lyme VR, Page 26. Ralph Giddings 721 Parkview Drive Ft Collins CO 80525 has death 17 Nov 1812 prob Rutland VT. Mary Colt was born on 4 December 1728 at Lyme, New London Co., CT. She was the daughter of Deacon Benjamin Colt and Miriam Harris. Mary Colt married Deacon Thomas Giddings, son of Thomas Giddings and Sarah Andrews, on 1 May 1746 at Lyme, New London Co., CT; by Rev. George Beckwith.1 Mary Colt died on 17 November 1812 at Rutland (prob), VT, at age 83. The Killingly, Conn., town records give the date of his birth as 12 September 1750. Mr. William G. Hill gives the date as 2 September 1750, a difference explainable by the change in reckoning from old to new style, but an old family bible in the possession of Herbert Bradley Converse of Claremont, N.H. gives 22 September 1750 as the date of Joel's birth. Joel was one of the first settlers of Lyme, NY, where, in 1788, he selected a piece of wild land on a high hill now indicated on maps of the town as "Davidson's Hill," made a clearing, and erected a frame house. At that time but fifteen families had settled there, "under great hardships and discouragements." His wife's brother, Samuel Bixby, and William Davidson had made a settlement there in 1786. In March 1789, he moved his wife and five children to the farm at Lyme, where the remainder of this live was spent. The location of his farm on Davidson's Hill was three miles east of the main road which leads from Lyme to Orford and on the hill road which leaves the main road near lyme Pond. Its outlook toward the southwest and towards the west was a grand one from twelve to forty miles in extent. The intervening hills were lower than that on which the farm was situated, and shut out the view of the Connecticut Valley only, leaving the distant outlook unobstructed. The farm was good wheat land, and it is recalled by one of the descendants of Joel Converse that in those days wheat in that locality "was food, and money too." Joel Converse was said by his son, Amasa, to have served in the American army during the Revolutionary War for a few months only, as he had to provide for a widowed mother. Joel Sr. was enumerated in the 1810 Lime, Grafton Co., NH, federal census. [S24] Charles Allen Converse, Some of the Ancestors and Descendants of Samuel Converse, Jr., of Thompson Parish, Kiliingly, Conn., Page 68, Item 29. [S807] Find A Grave, online http://www.findagrave.com, memorial ID 75057489. [S807] Find A Grave, online http://www.findagrave.com, memorial ID 75047800. [S807] Find A Grave, online http://www.findagrave.com, Find A Grave, database and images (https://www.findagrave.com : accessed 19 July 2018), memorial page for Mrs Elizabeth Bixby Converse (2 Sep 1762–12 Nov 1850), Find A Grave Memorial no. 75047800, citing Old Lyme Cemetery, Lyme, Grafton County, New Hampshire, USA ; Maintained by Anonymous (contributor 47584245) . Theron Converse was born on 19 May 1787 at Thompson, CT. He was the son of Joel Converse and Elizabeth Bixby. Theron Converse died on 7 April 1861 at Lyme, Grafton Co., NH, at age 73. Theron was enumerated in the 1850 Lyme, Grafton Co., NH, federal census. He was a farmer, age 63. Also in the household were Miriam 37, Elisebeth 90, and Miriam E. 15. Marquis Converse was born on 12 July 1789 at Lyme, Grafton Co., NH. He was the son of Joel Converse and Elizabeth Bixby. Marquis Converse died on 21 November 1840 at Lyme, Grafton Co., NH, at age 51. Elizabeth Converse was born on 20 May 1791 at Lyme, Grafton Co., NH. She was the daughter of Joel Converse and Elizabeth Bixby. 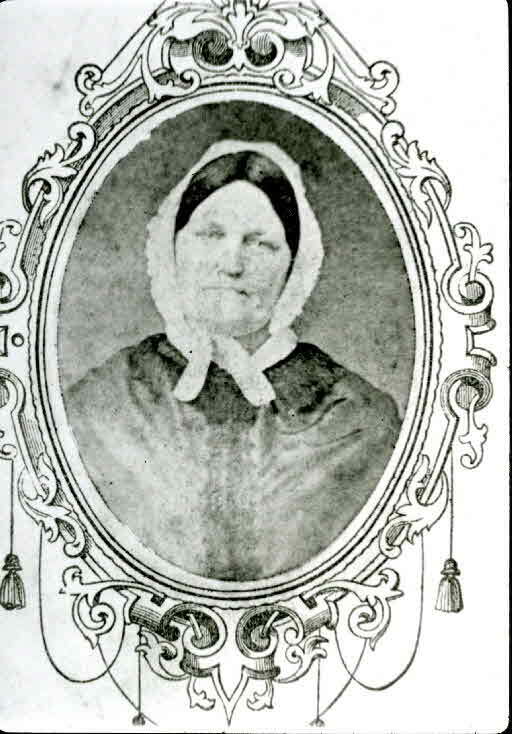 Elizabeth Converse died on 16 April 1863 at Orfordville, New Hampshire, at age 71. Sarah Converse was born on 2 July 1793 at Lyme, Grafton Co., NH. She was the daughter of Joel Converse and Elizabeth Bixby. Sarah Converse died on 11 February 1864 at Lyme, Grafton Co., NH, at age 70. [S24] Charles Allen Converse, Some of the Ancestors and Descendants of Samuel Converse, Jr., of Thompson Parish, Kiliingly, Conn., Page 142/Item 74. [S807] Find A Grave, online http://www.findagrave.com, Find A Grave, database and images (https://www.findagrave.com : accessed 19 July 2018), memorial page for Amasa Converse (21 Aug 1795–9 Dec 1872), Find A Grave Memorial no. 10591345, citing Cave Hill Cemetery, Louisville, Jefferson County, Kentucky, USA ; Maintained by Rich H. (contributor 46489213) . John Kendrick Converse Reverend was born on 15 June 1801 at Lyme, Grafton Co., NH. He was the son of Joel Converse and Elizabeth Bixby. John Kendrick Converse Reverend died on 3 October 1880 at Burlington, VT, at age 79. [S713] Rhonda R. McClure, Thomas Brigham, page 22. Col. Thomas Convers was christened on 5 November 1738 at Killingly, CT. He was the son of Thomas Convers and Abigail Fay. Col. Thomas Convers died in 1809 at Rutland, NY. Samuel Convers was born on 7 August 1740. He was the son of Thomas Convers and Abigail Fay. Abigail Convers was born on 18 November 1744. She was the daughter of Thomas Convers and Abigail Fay. David Convers was born on 2 July 1746. He was the son of Thomas Convers and Abigail Fay. Tabitha Convers was born on 5 March 1749. She was the daughter of Thomas Convers and Abigail Fay. Samuel Convers was born on 4 April 1662 at Woburn, Middlesex Co., MA. He was the son of Sgt. Samuel Convers and Judith Carter. Samuel Convers died in 1732 at Thompson Parish, Killingly, CT.
[S24] Charles Allen Converse, Some of the Ancestors and Descendants of Samuel Converse, Jr., of Thompson Parish, Kiliingly, Conn., Page 23/Item 9. Pain Convers was born on 25 November 1706 at Woburn, Middlesex Co., MA. He was the son of Samuel Convers and Dorcas (?) Pain Convers died on 10 September 1781 at age 74. Sgt. Samuel Convers was born at Charlestown, Middlesex Co., MA. He was christened on 12 March 1637/38 at First Church. He was the son of Deacon Edward Convers and Sarah (?) Sgt. Samuel Convers married Judith Carter, daughter of Rev. Thomas Carter and Mary Parkhurst, on 8 June 1660. Sgt. Samuel Convers died on 20 February 1669 at Woburn, Middlesex Co., MA, at age 30. [S24] Charles Allen Converse, Some of the Ancestors and Descendants of Samuel Converse, Jr., of Thompson Parish, Kiliingly, Conn., Page 9/Item 5. Judith Carter was the daughter of Rev. Thomas Carter and Mary Parkhurst. Judith Carter married Sgt. Samuel Convers, son of Deacon Edward Convers and Sarah (? ), on 8 June 1660. Judith Carter died in 1677. [S24] Charles Allen Converse, Some of the Ancestors and Descendants of Samuel Converse, Jr., of Thompson Parish, Kiliingly, Conn., Page 9. Abigail Convers was born at Woburn, Middlesex Co., MA. She was the daughter of Sgt. Samuel Convers and Judith Carter. Abigail Convers died on 14 July 1689. Deacon Edward Convers married Sarah (?) Deacon Edward Convers was born on 30 January 1590 at Wakerly, Northampton, England. He died on 10 August 1663 at Woburn, Middlesex Co., MA, at age 73. [S24] Charles Allen Converse, Some of the Ancestors and Descendants of Samuel Converse, Jr., of Thompson Parish, Kiliingly, Conn., Page 1/Item 1. Sarah (?) married Deacon Edward Convers. Sarah (?) died on 14 January 1661. Josiah Convers Deacon was born in 1618 at England. He was the son of Deacon Edward Convers and Sarah (?) Josiah Convers Deacon died on 3 February 1689 at Woburn, Middlesex Co., MA. James Convers Lieutenant was born in 1620 at England. He was the son of Deacon Edward Convers and Sarah (?) James Convers Lieutenant died on 10 May 1715 at Woburn, Middlesex Co., MA. Joseph Bixby married Sarah Wyatt on 15 October 1647. Joseph Bixby died on 19 April 1700 at Boxford, MA. Sarah Wyatt married Joseph Bixby on 15 October 1647. Sarah Wyatt died on 3 June 1704.